"The thing you don't realize," said a man who I walked past on my way out of Orchestra Hall on Saturday afternoon, "is just how much music there is in it!" That's true, and it's one of the reasons the national trend of performing film scores live to picture is such a gift to both music lovers and movie fans. It makes the role of the orchestra transparent, revealing just how continuously and profoundly a score affects the audience's experience of a film. The movie in this case is Disney's The Little Mermaid. Released in 1989, the film marked a turning point in the studio's history. It was Disney's last animated film to be almost entirely animated using traditional hand-painted cel technique #&8212; later films, even when they weren't fully computer-animated, relied on a digital production system. 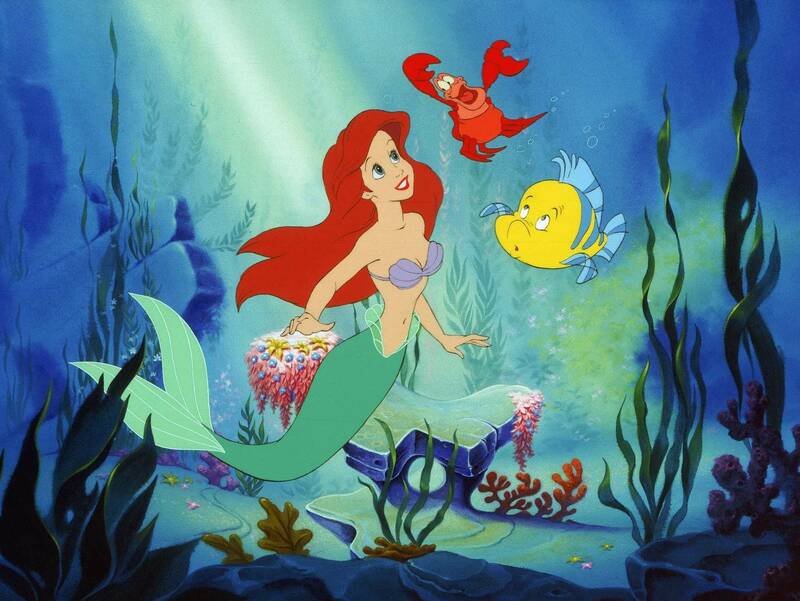 With its critical acclaim and enduring popular success, Little Mermaid also marked the beginning of the decade studio historians now call the "Disney Renaissance": a creative resurgence that included features like The Lion King (1994), Aladdin (1992), and Beauty and the Beast, the first animated feature to be nominated for the Best Picture Oscar. Like Beauty and Aladdin, The Little Mermaid was the product of a musical collaboration between composer Alan Menken and lyricist Howard Ashman. During the making of Little Mermaid, Ashman learned he was HIV-positive; tragically, AIDS claimed his life at age 40. The duo's collaboration was born on Broadway, and much of the appeal of The Little Mermaid is the way that Ashman and Menken essentially create a brilliant musical-theater score for use on screen. It's no coincidence that the duo's films — particularly Beauty and the Beast — would serve as vehicles for Disney to translate its films onto the stage and then back onto the screen in live-action form. The less said about that, the better. On the screen, the story and the music thrive. Little Mermaid is a glorious celebration of the orchestra, given the importance of the character Sebastian's role as court composer. (His entrance is heralded with kazoos, dutifully wielded by orchestra members under the necessarily precise baton of Sarah Hicks.) Two of the film's great showpieces, "Under the Sea" and "Kiss the Girl," have the crab conducting an undersea orchestra, which functions as a sort of accelerated Young Person's Guide to the Orchestra when the score is performed live. There were plenty of young people in attendance on Saturday — most eschewing costumes given the chilly weather, but a few little girls wearing princess dresses and on adult woman rocking iridescent fish-scale leggings. The kids were captivated by the film and the music, with its Caribbean flavor necessitating athletic work on the part of the percussion section. It's a joyous celebration, and its success reflects the tremendously high level of the Minnesota Orchestra's art and technique. Recreating a film score live to film, particularly when it's necessary to sync with pre-recorded vocals, is no mean feat. In this case, it's a welcome twist on what happens when these films are adapted for Broadway (as The Little Mermaid was in 2008): there, the vocalists take center stage, while the instrumentalists are hidden. In Orchestra Hall, the players are before us, and we can readily appreciate their performances of Menken's shimmering score. The Little Mermaid will be presented again today at 2 p.m.